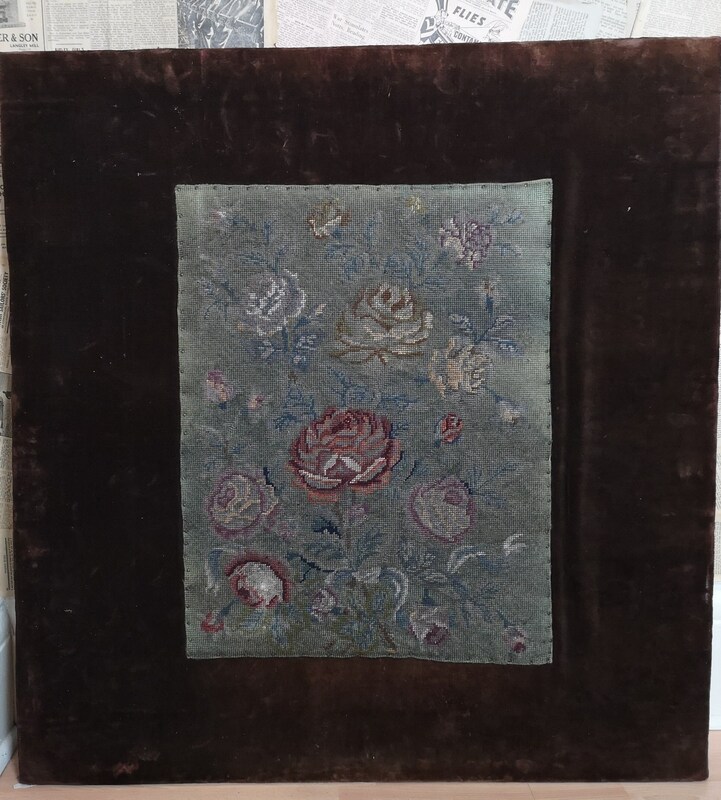 An incredible antique 18th century tapestry of floral design mounted on a large wood boarding and surrounded with a velvet border. 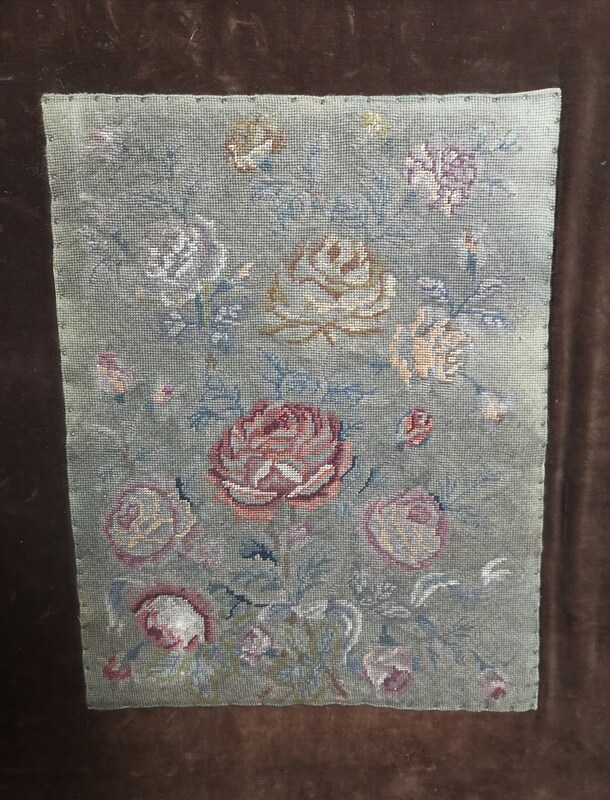 The woolwork panel is crewel sewn and depicts a spray of different coloured roses, a symbolic English flower on a light moss green ground. 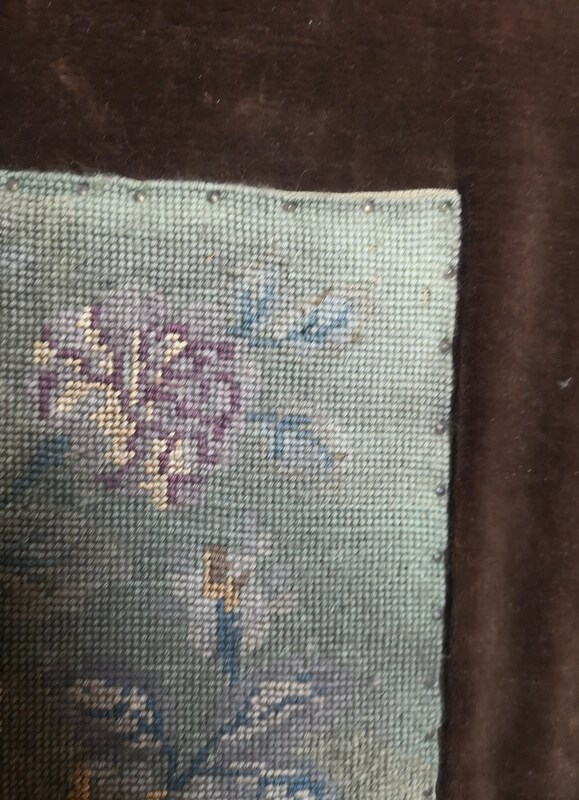 It was likely part of a larger tapestry originally. 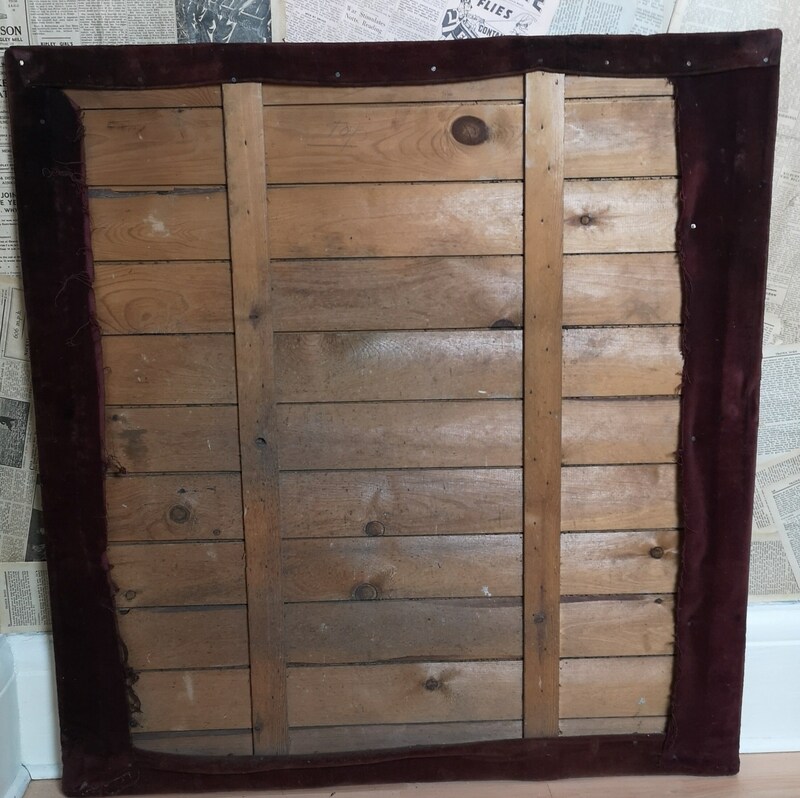 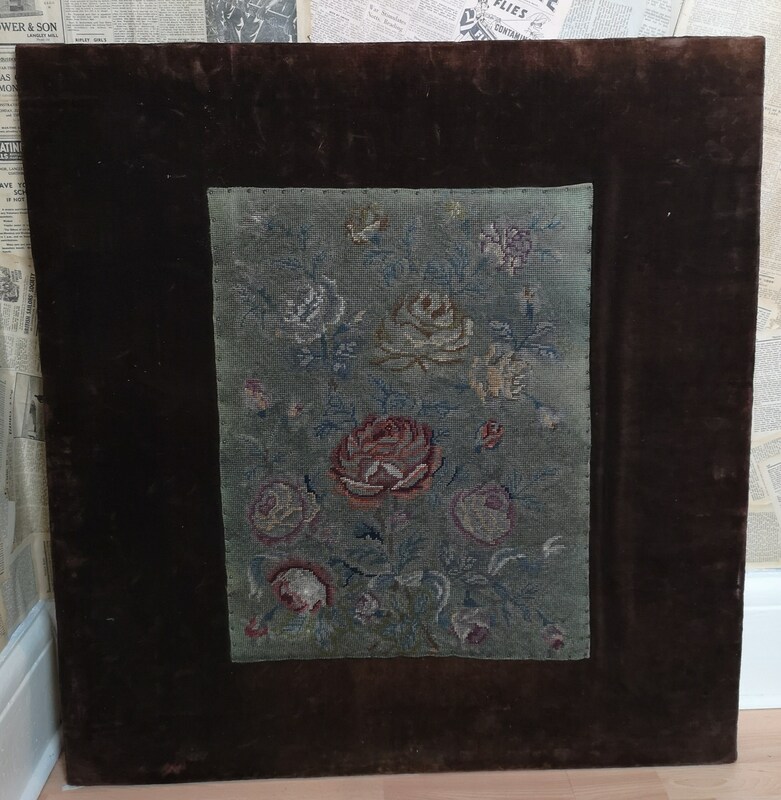 It has been mounted on a handmade heavy wood boarding and has a deep chocolate brown velvet border. 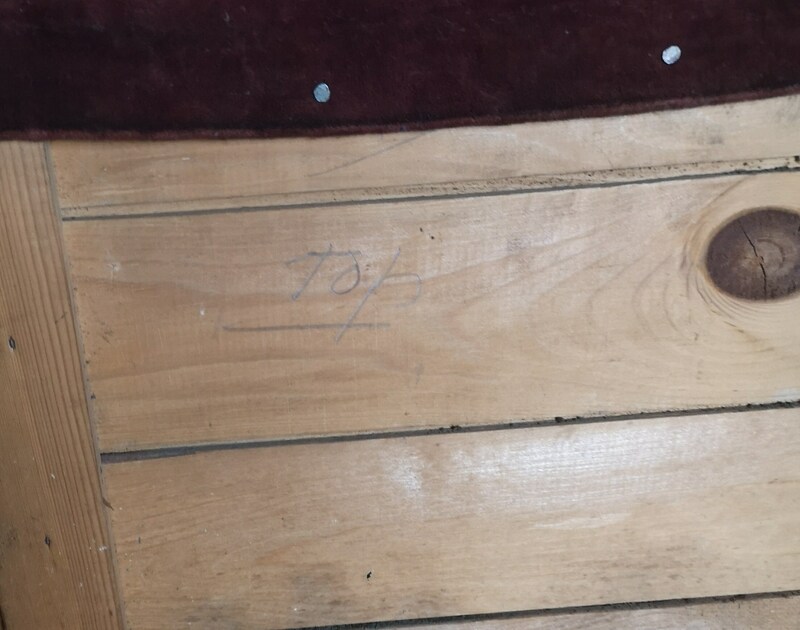 It is very large and very heavy and international shipping would need to be calculated by address prior to purchase. 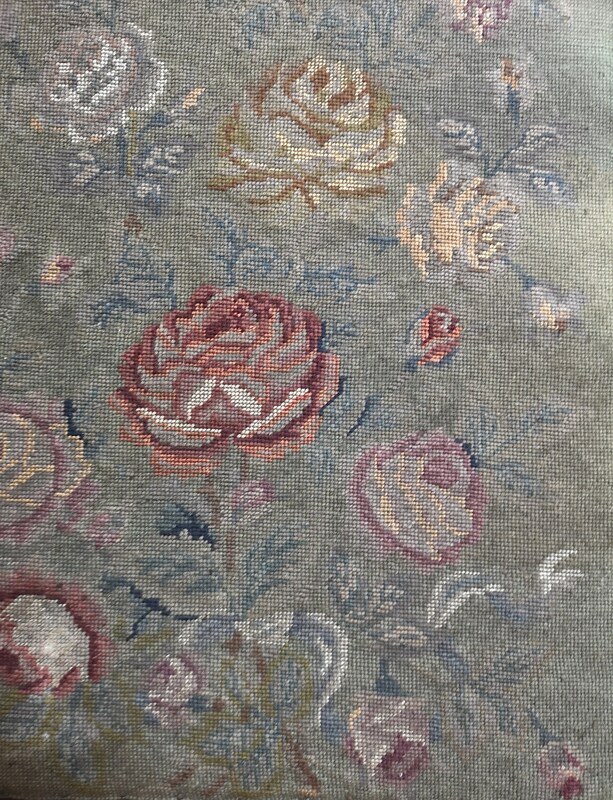 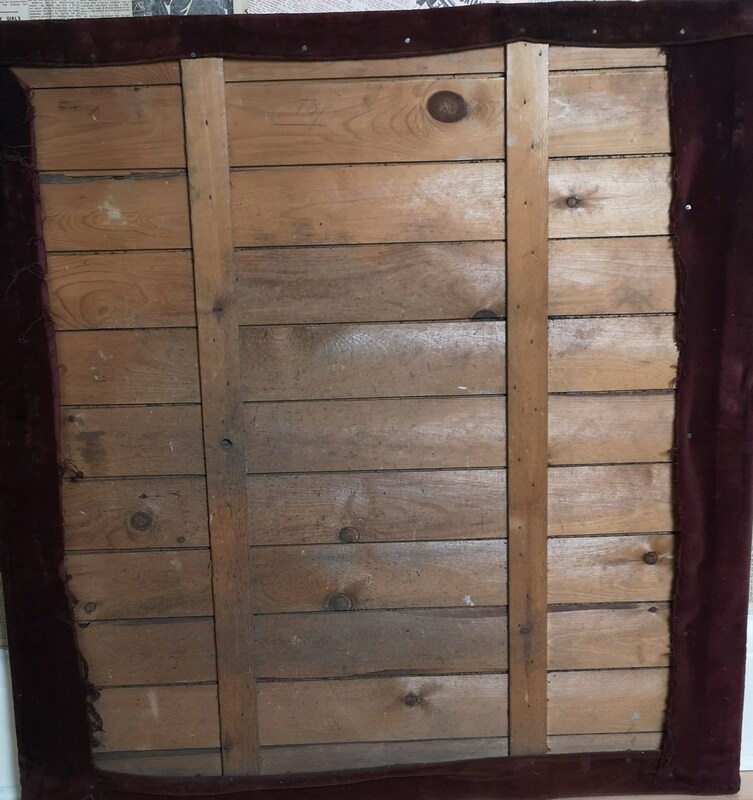 C1740-50s, it is in good condition and retains its natural muted colours and charm, the velvet shows light wear but nothing major, the wood boards are solid and strong.